The U.S. Fish and Wildlife Service has designated 229 miles of rivers and creeks and 29 acres of springs and wetlands as critical habitat for five endangered fishes in the southeastern U.S. Critical habitat is the area important to the survival of an imperiled species at the time of its listing. Some of these critical habitats may need special management or protection to ensure the survival of the endangered fish. Most of the habitat for these fishes has been degraded due to fragmentation, channel modification, sedimentation, and altered flows of these river and creek systems. Critical habitat for the Rush Darter (Etheostoma phytophilum) is three isolated area in north-central Alabama including tributaries and spring systems of the Turkey Creek (Jefferson County), Clear Creek (Winston County), and Little Cove- Bristow Creek watersheds (Etowah County). The Rush Darter relies on aquatic vegetation associated with groundwater to feed, hide, and reproduce. Endangered Rush Darters (Etheostoma phytophilum) from a spring in north-central Alabama. Photo by Bernie Kuhajda. Unnamed spring along a state highway in north-central Alabama, critical habitat for the endangered Rush Darter (Etheostoma phytophilum). Photo by Bernie Kuhajda. The Laurel Dace (Chrosomus saylori) is right in our backyard. It is a colorful minnow found only on the top of Walden Ridge outside of Chattanooga, Tennessee. Its critical habitat is only six small creeks in Bledsoe, Rhea, and Sequatchie counties! Endangered Laurel Dace (Chrosomus saylori) found in creeks on Walden Ridge near Chattanooga. Photo by Dave Neely. 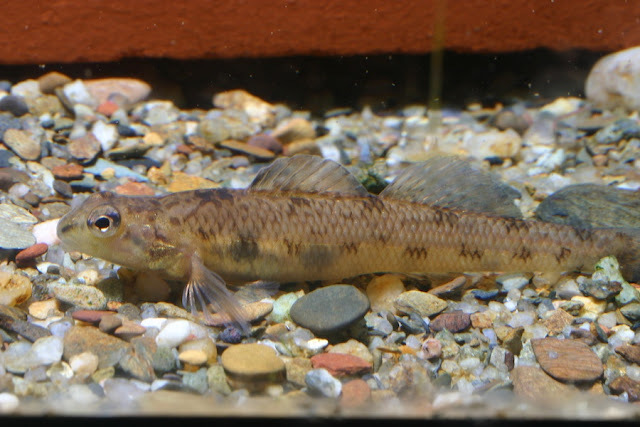 The Chucky Madtom (Noturus crypticus) is a small catfish only known from Little Chucky Creek, a small tributary to the Nolichucky River in east-central Tennessee, Greene County. Such a small range makes the protection of the critical habitat extremely important, especially since this is an extremely rare and endangered fish. Only a couple of specimens have been collected in the last 20 years! Endangered Chucky Madtom (Noturus crypticus) only found in a single small creek in east-central Tennessee. Illustration by Joe Tomelleri. The Cumberland Darter (Etheostoma susanae) is restricted to the upper Cumberland River system in Tennessee and Kentucky. 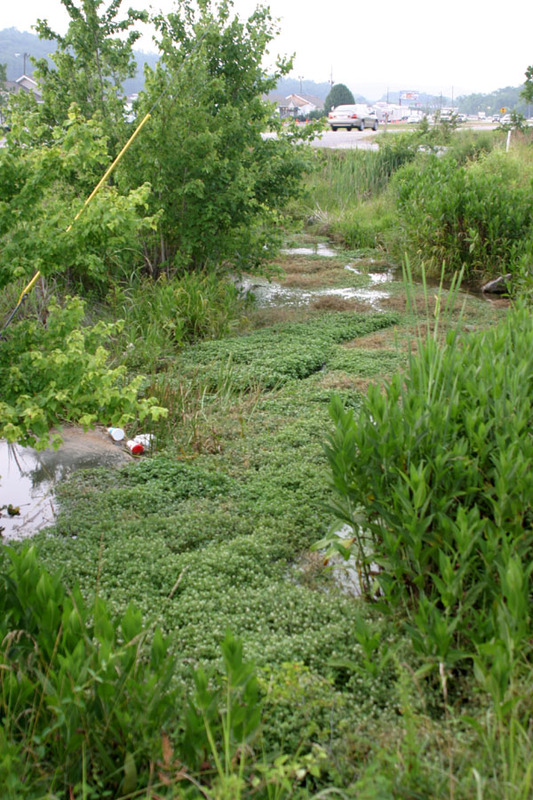 Critical habitat includes 15 creeks systems. 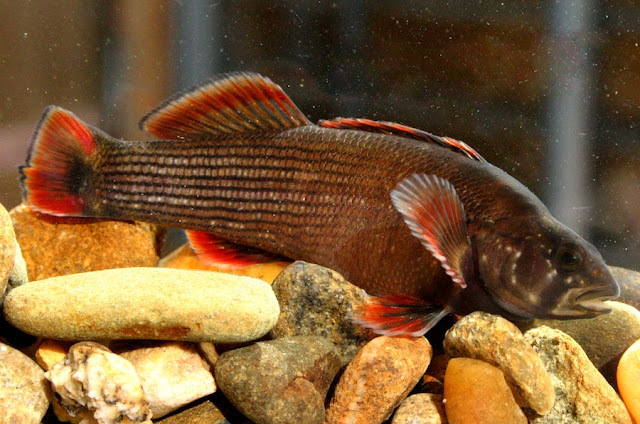 Coal mining is one of the main human actions that has threatened this fish and its habitat. Endangered Cumberland Darter (Etheostoma susanae) found in creeks of the upper Cumberland River system in Tennessee and Kentucky. Photo from http://conservationfisheries.org/index.php/species/all-species/etheostoma-susanae-cumberland-darter/. The Yellowcheek Darter (Etheostoma moorei) is a found in the Ozark Highlands in north-central Arkansas. Critical Habitat includes the Devil’s, Middle, South, and Archey forks of the Little Red River in Cleburne, Searcy, Stone, and Van Buren counties. Endangered Yellowcheek Darter (Etheostoma moorei) found in the Little Red River drainage in north-central Arkansas. Photo from http://conservationfisheries.org/index.php/species/all-species/etheostoma-moorei-yellowcheek-darter/. Hopefully now that the critical habitat has been designated for these endangered fishes, active conservation plans can be made or implemented to prevent these animals from going extinct. Happy 40th Birthday Clean Water Act!